I was in my mother’s bedroom when there was a loud bonk on the window. 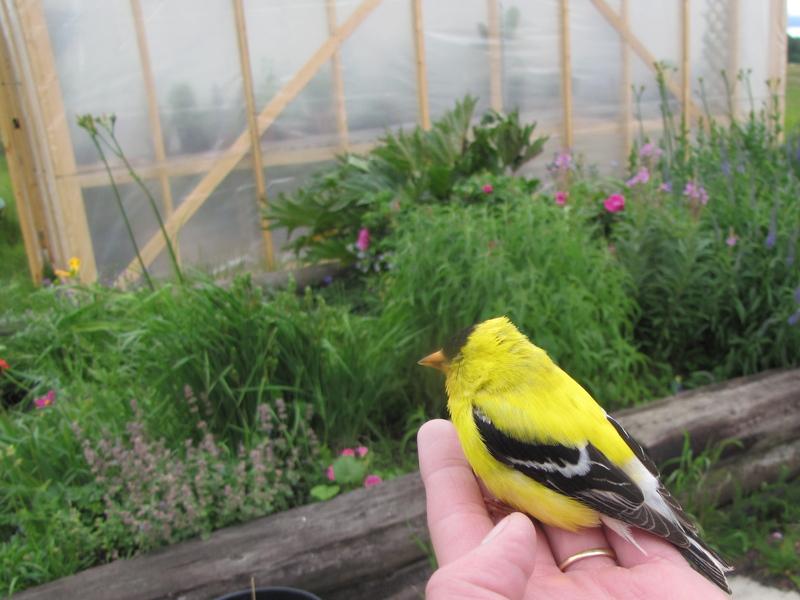 Feathers flew and a male American Goldfinch hit the ground. I ran outside to check on him and at first I thought he wouldn’t make it. He sat on my hand breathing quite heavily. After 10 minutes he was already looking better. 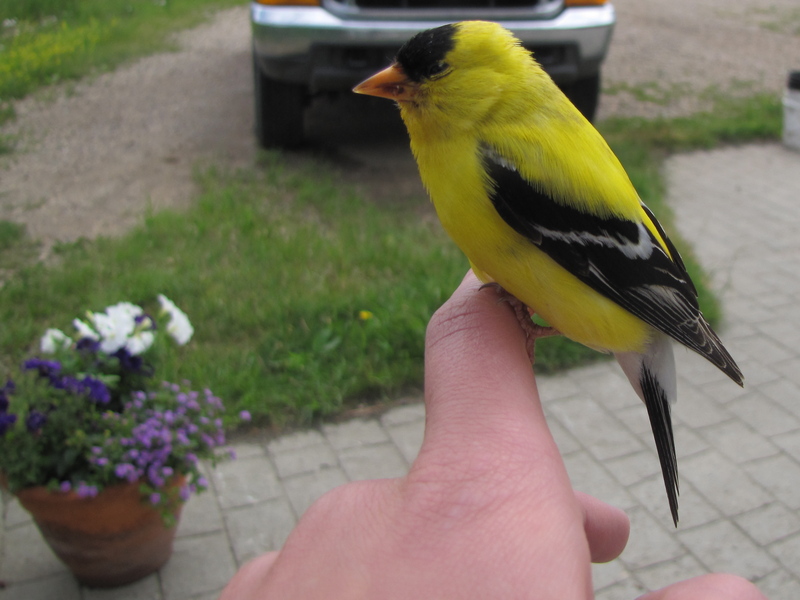 My brother came outside to take some pictures for me while I was holding then the finch, then my brother brought my camera to me so I was able to take some pictures too. I was so relieved he was okay. My mother had ordered some “warning web” decals from Lee Valley for the three windows in the house that seem to confuse the birds, but because of the Canadian postal strike last month, the parcel has been delayed. We are hoping it arrives this next week. 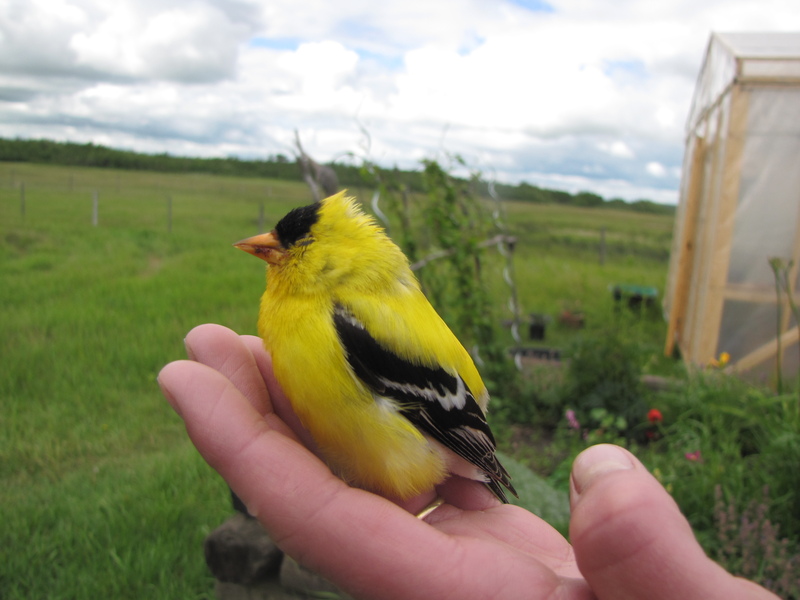 This entry was posted in Alberta Birds, Year List and tagged American Goldfinch. Bookmark the permalink. 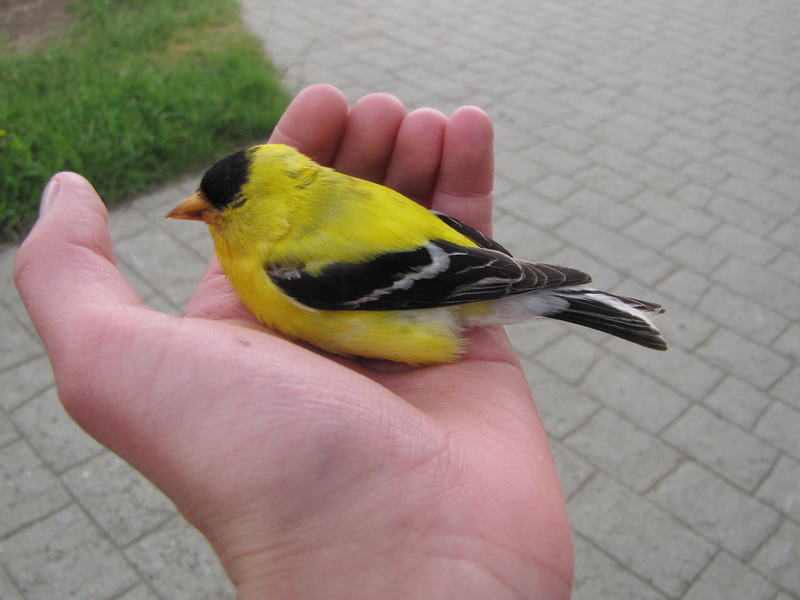 Nice bird to see in the hand and glad it recovered okay. I’m just back from a holiday in Alberta, what a fabulous place to live! Hopefully be back next year. 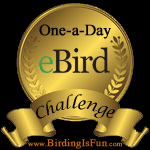 Will follow this blog with interest. 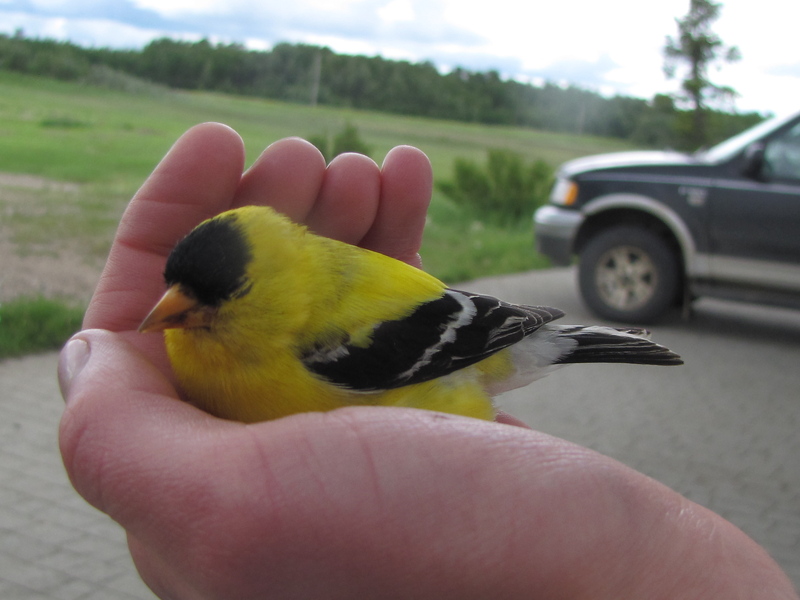 The goldfinch did recover, I was so relieved. I couldn’t dream of living anywhere else than Alberta. Thank you for taking an interest in my blog. Glad the little guy was alright! I saw a goldfinch nesting the other day- very nice birds. 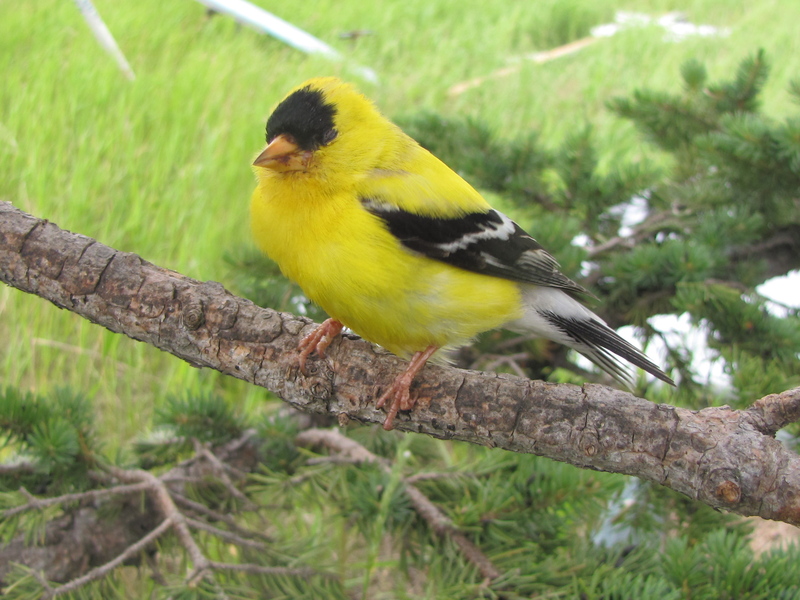 We spotted a pair of American Goldfinches on Saturday past here in eastern Sherwood Park, AB. Beautiful birds. Never seen here before. 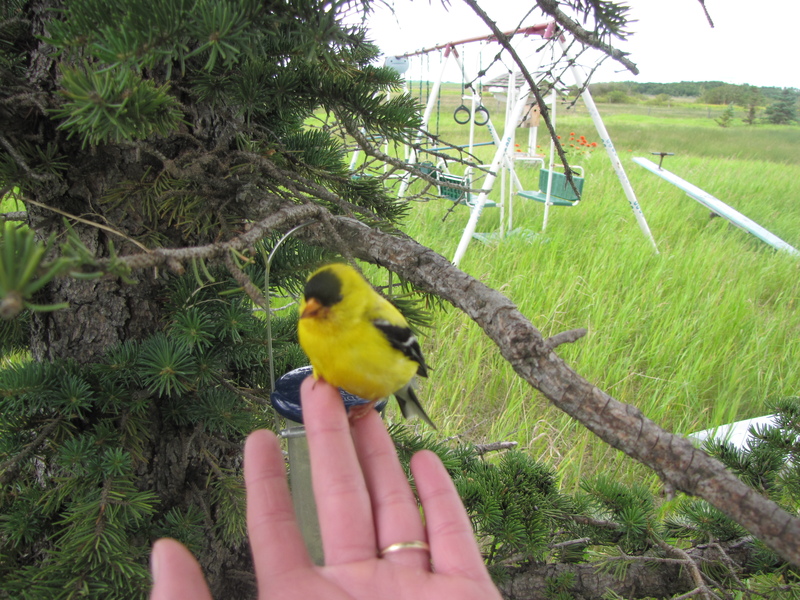 Goldfinches are great birds and I’m glad you were able to see them. 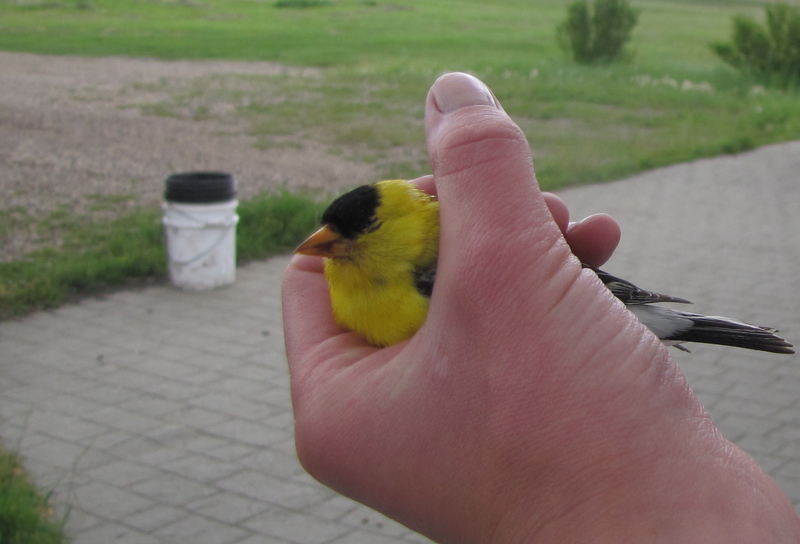 Try putting out a feeder with nyjer seed, and they might stick around.